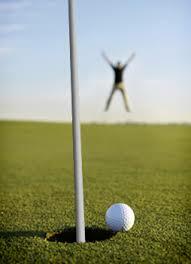 UK Hole In One – New Hole In One Golf Insurance! We are delighted to announce the launch of UK Hole in One, the UK’s newest and best provider of hole in one golf insurance policies. Our new hole in one golf insurance is underwritten by Aviva and has been specially designed for event organisers – be they a charity, brand or golf club – and with cover starting from just £99 it’s affordable for all – especially as policies purchased online automatically receive a 5% discount. UK Hole In One’s hole in one insurance cover comes complete with an easy to follow guide on how to run a hole in one competition as well as hints and tips on making your hole in one competition go with a swing! If you’d like any more advice, or to get a ukholeinone.com quote, then please call us on 0345 370 2844 or click here to contact us. New Hole In One Golf Insurance!